Peripheral Neuropathy is the term for damage to nerves of the peripheral nervous system, which may be caused either by diseases of the nerve or from the side-effects of systemic illness. Peripheral neuropathies vary in their presentation and origin, and may affect the nerve or the neuromuscular junction. Dr. Michael Horowitz offers a 5-Step process to successfully treating Peripheral Neuropathy. He can help evaluate & diagnose your condition and recommend the best course of action for you. 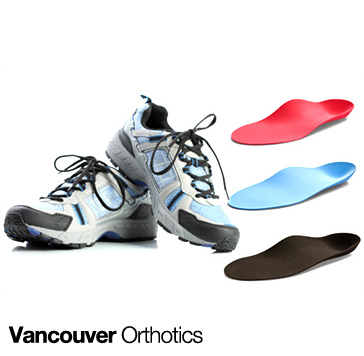 Call Vancouver Orthotics at 604-737-3668 for more information. What is the most effective treatment for Peripheral Neuropathy? What exercises & stretches do you recommend for Peripheral Neuropathy? What other symptoms are most commonly associated with Peripheral Neuropathy? What shoes are best for Peripheral Neuropathy? Where can I get medical hardware for Peripheral Neuropathy?